I love the kids being off school but there’s no doubt that entertaining them for 6 weeks is exhausting. I want them to look back on their summers and realise how fun filled they were. I’m trying not to think too much about Little T starting big school next Thursday but there’s definitely signs creeping that its time for my 3 girls to go back. Are there any that you recognise? 1. The girls are so filthy we’ve started finding treasure between their toes – Hope it pays the bills! 2. The tomato ketchup bottle is dry – The Holiday wine bottles are even drier. 3. Our bodies now consist of 85% ice cream. 4. I’ve started dreaming about minimalist Minecraft houses, ours is such a tip! 5. We’ve broken up so many fights, senior members of the United Nations are asking for my peacekeeping tips. 6. I’m developing a phobia of car journeys without a 3 course picnic & a new film on the iPad. 7. We’ve visited so many North-West tourist attractions, we could write a book – I know the price of a coffee in MOST cafes within 50 mile radius. 8. I found myself staring at a lady eating chips alone in her car in Lytham last night – I wonder if she’d have minded me climbing in next to her for a bit of peace. My girls were having a burping competition in our car at the time. 9. The kid’s behaviour is feral – Its now not not a question of IF Tara says ‘bloody hell’ at school but WHEN! 10. Did I ever used to go to the loo alone? So how are your summer holidays going? Name labels already firmly placed in shoes, uniforms hanging up ready or are you denying that it will soon be over for another year? haha.. spot on! I think my body may be 90% ice cream at this point. I remember all of your situations but I had a different experience this year. One for the future for you. My older son has not been seen for 10 weeks since he finished his A levels. He still lives here, as evidenced by dirty clothes and dishes. My younger son and I have spent 6 weeks together chilling out with no arguments. 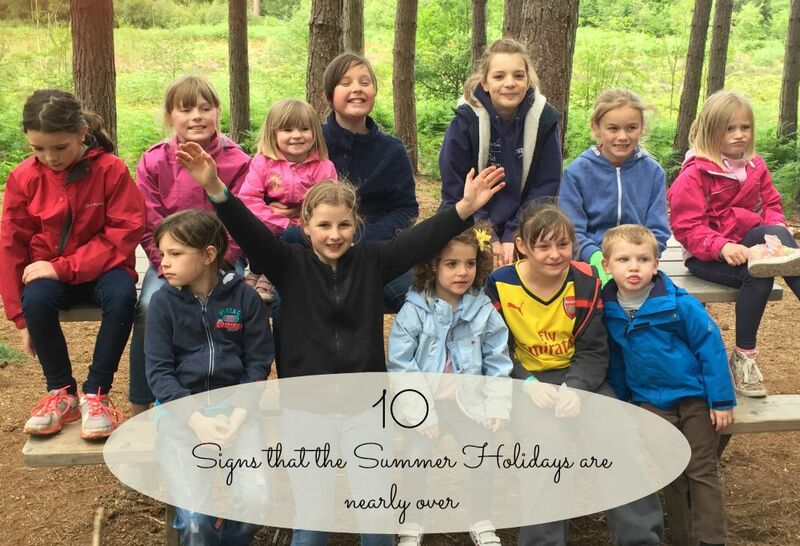 Last week we were joined by the hubbie and went to Centerparcs. The older son left alone. We had a great holiday but the house when we returned was like a bin. He tidied and cleaned his room as instructed but ignored the rest of the house. Now I am exhausted between washing and cleaning. What holiday?